^ 第一個地跨亞歐非的大帝國——古波斯帝國(1). 中華網. 2008-03-13 [2014-01-02]. （原始内容存档于2016-03-04）. ^ 韩香. 唐代外来宗教与中亚文明. 陕西师范大学学报：哲社版. 2006 [2014-01-02]. （原始内容存档于2014-01-03）. 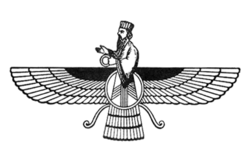 ^ Zoroastrian faith returns to Kurdistan in response to ISIS violence. Rudaw. 2015-06-02 [2016-05-17]. 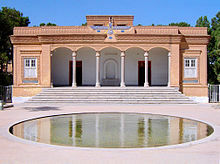 ^ Zoroastrianism in Iraq seeks official recognition. Al-Monitor. 2016-02-17 [2016-05-17]. Adil F. Rangoonwalla: Five Niyaeshes, 2004, 341 p.
D. F. Karaka: History of The Parsis including their manners, customs, religion and present position, 350 p, illus.